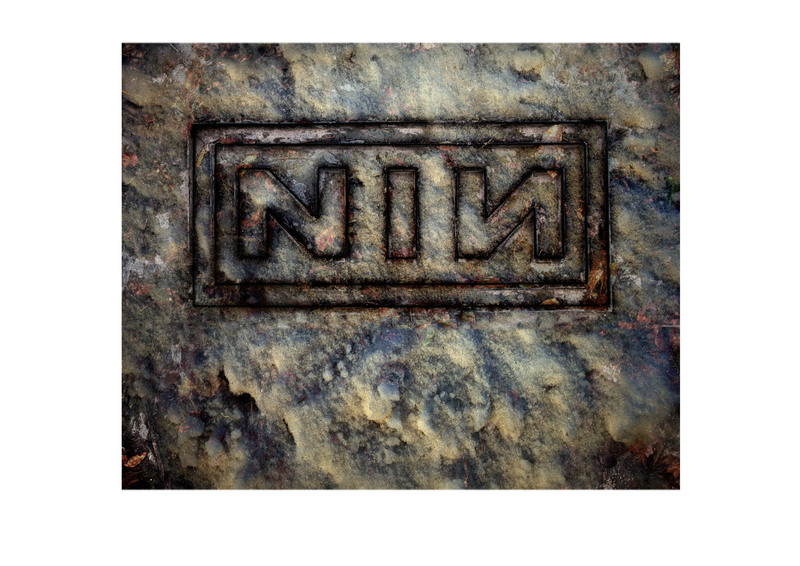 The 4’ x 3’ x 2” steel NIN logo was made while I was working on the mixed media pieces towards The Downward Spiral album. It wasn’t part of the originally agreed commission, but was more of a side project, following an idea that I thought might produce some interesting and contextually relevant results. The piece exemplifies what I call the primacy of process, which is strong guiding principle underpinning all my work. Essentially I believe that, while being driven or informed by a conceptual and contextual anchor, a piece of art can be found or discovered through heuristics, by learning through doing. Proceeding by trial and error and by using methods that are only loosely defined can reveal potential new ideas. The juxtaposition of objects, materials and solutions that may or should not ordinarily be conjoined can produce startling unexpected new configurations, through which surprising and previously unimagined associations may be suggested. 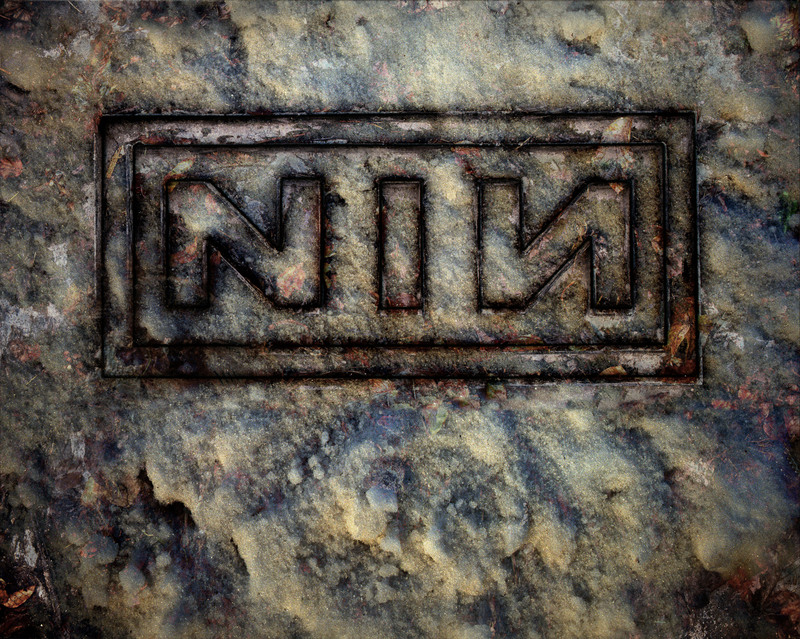 I commissioned a local blacksmith in Ambleside to make up a kind of huge baking tray with the NIN logo at its centre. Once completed, myself and photographer David Buckland took the piece out into the surrounding landscape for a day, intent on subjecting it to as many treatments as possible. Everything in the landscape was potential. We smothered it with dead leaves, moss, ashes, plaster dust and bronze powders and in the lake at Grasmere Lake it was submerged in the shallows as petrol was poured over it. On the tops over Kirkstone Pass it was packed with snow, and, high on Loughrigg Fell we came across a Ram’s skeleton, which we simply draped over the piece. Finally we set fire to it. By the end of the day we had about 40 – 50 shots of the logo in different conditions. I sent all the results of this shoot over to Nine Inch Nails via courier, along with the transparencies of about 25 mixed media works I’d done for the commission and awaited their response. They loved and would use most of the mixed media works, but had no uses for the treated iron logo. Bugger! No matter, the logo cost relatively little, the day out shooting with good friends was great fun and I learnt a lot about how certain materials reacted having being subjected to apparently inadvisable or adverse conditions. The massive and heavy iron logo, rusted to the colour of sunlit marmalade is now in a private collection in Northern Ireland.